SSL stands for Secure Sockets Layer which allows secure connection between web server and web browser. SSL security certificate used to secure online digital data transaction such as data transfer, login details, pay pal, bank wire and the most crucial credit card information over the web. What is an EV SSL or Extended Validation SSL Certificate? EV SSL Certificate is known as Extended Validation SSL Certificate, which displays Green Address Bar in all major web browsers. Extended Validation EV SSL Green Address Bar provides the SSL industry high level of strongest encryption on the web server and also provides the certificate details on the web. Why Extended Validation EV SSL Certificate from Us? ExtendedValidationEVSSL.com is the largest and leading Platinum SSL Reseller in today’s SSL market and Largest SSL Certificate Providers of all major SSL brands such as Symantec, GeoTrust, Thawte and Comodo. 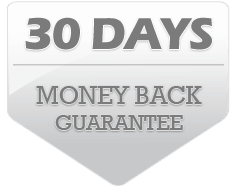 We offer the cheapest Extended Validation SSL certificates to compare other SSL providers and 100% Money Back Guarantee within 30 Days. Our multiple year purchase option will lead you higher discount to make your EV SSL certificate purchase at the Cheapest Price on the web.